I draw upon my life and surroundings as inspiration for my work. 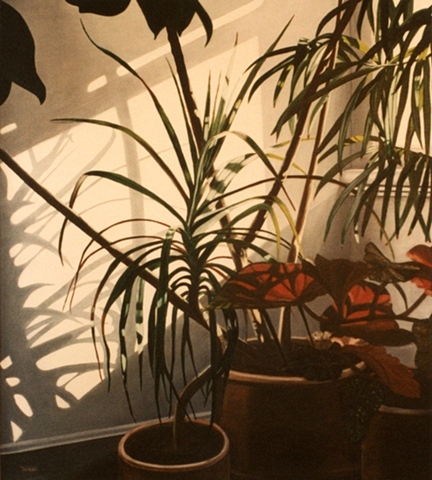 My Paintings are studies of color, shadow, light and form. I am fascinated by the play of shadow and light on everyday objects, capturing the distortions and reflections in glass. I try to create a peaceful, tranquil respite from the distractions of the outside world; engaging the viewer, perhaps evoking a sigh of relief, or a sense of nostalgia.....creating a meditative state.